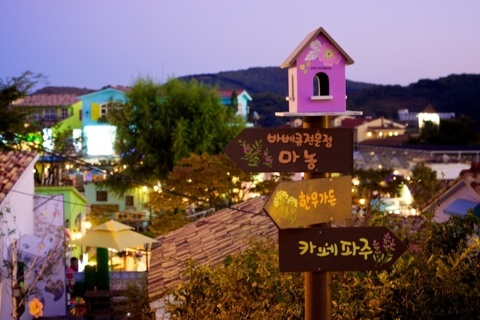 Where else you can go in Korea other than travel around Seoul, Nami Island, Petite France , etc??? 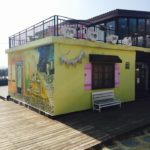 Today we gonna introduce another place that are also a Filming spot for Korean Drama “My Love from the Star” & ” The girl who sees smell” with colorful building and picture taking spot. 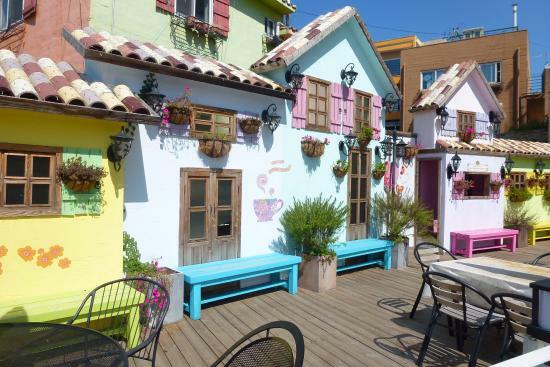 Besides that this place are also famous between Korea Couple or Family to visit during weekend or holidays. 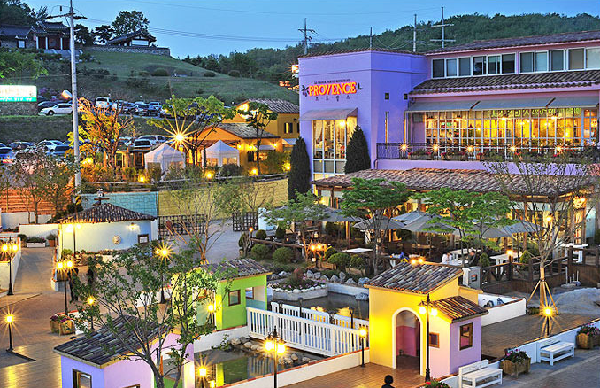 Paju Provence village begin with a chic French restaurant in 1996, Provence Village is a themed village with a shabu-shabu restaurant, a garden restaurant, a Provence Living Gallery decorated with beautiful interior designs, an Herb Village full of sweet fragrance, a Fashion Gallery, a European bakery and cafes. 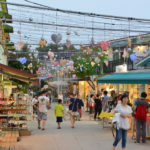 Besides that The shop at Paju Provence is connected with others shop wheres each of the shop are unique shop in their own ways. 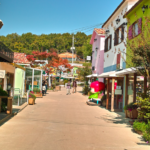 There also An art studio offers a wide array of dishes used in cafes and restaurants in the village; the Living Gallery not only decorates Provence Village. You can also makes decorative items such as hand-painted ceramics, available for purchase. Besides that in here there’s European bakery boasts fresh, delicious breads. Which their Garlic bread are totally recommended. 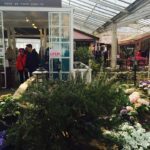 Furthermore for those who love ceramic, flowers there’s specialty shop offers shops selling ceramics, flowers, and herbs. While the Fashion Gallery consists of shops offering clothing, accessories, and interior design items. 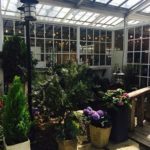 And lastly The Herb Garden in the village, in addition, hosts a wide array of cultural events and performances for visitors. [Subway + Bus] Hapjeong Station (Seoul Subway Line 2,6) and Exit 8. Take Bus No. 2200 and get off at Seongdong Intersection bus stop. 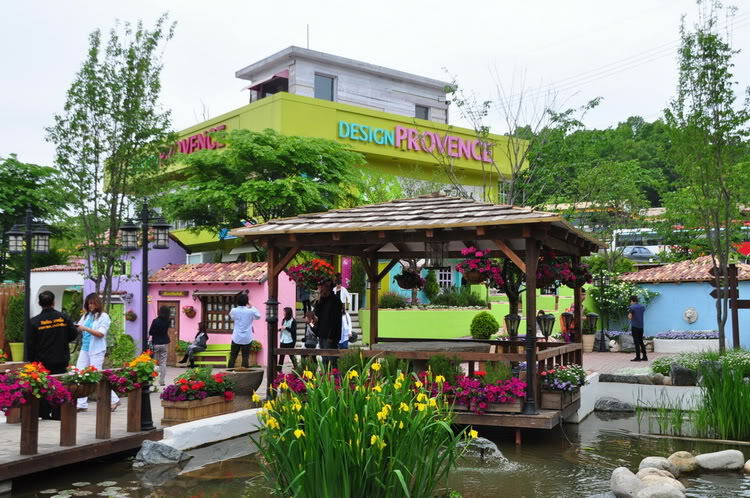 This entry was posted in Spot and tagged art studio, cafes., colorful, decorates, European bakery, Fashion Gallery, French restaurant, Garden, My Love from the Star, paju, provence village, sweet fragrance, The girl who sees smell, The Herb Garden, themed village.